Butterflies absolutely love the Joe Pye Weed! 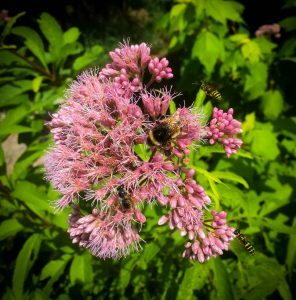 The huge clusters of bright pink flowers are buzzing with pollinators from August into September. This tall, native Ontario perennial thrives in moist to average soil with full sun. The seed heads persist into winter and provide aesthetic interest.